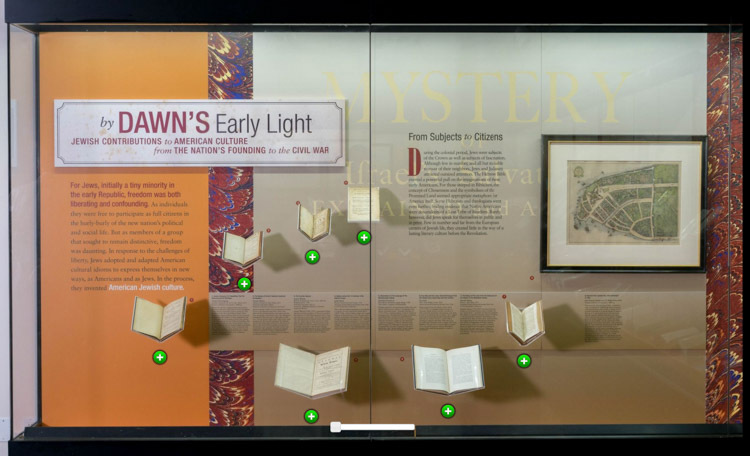 An exhibition of works from the Princeton University Library’s Leonard L. Milberg ’53 Jewish American Writers Collection with additional materials from The Library Company of Philadelphia and American Jewish Historical Society. George Blumenthal and photographer Ardon Bar-Hama are dedicated to preserving the most interesting exhibitions in digital format so that they can be viewed online by the public when they are no longer displayed in a museum. The virtual tour is exactly like an in-person tour; you can explore the exhibition at your own pace, zooming in to view and read the sections which most interest you.